Nope, not Ebola, H1N1, or SARS, though this Killer Bug was in fact designed to wipe out an entire species. After watching, I decided to embark on some internet research and I found that this historical fly has a very interesting history. Originally designed to expedite the removal of the grayling from the River Avon (considered a pest at the time), it consists of nothing more than a hook, copper wire, and a few wraps of grey wool. 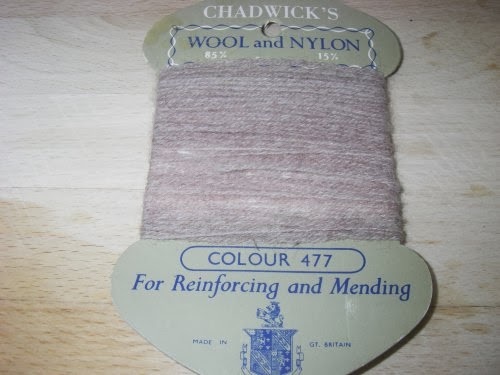 But, because flyfishers are decidedly wierd and prodigal squanderers of money, it can't just be any "grey wool", mind you, but it has to Chadwick's 477 grey wool. A storied, almost mythical wool, the original recipe was lost in a fire some four decades ago and no one has been able to faithfully reproduce it since. It's also a wool that sells for absurd prices on Ebay. It's somewhat grey, with a bit of pink and brown, but apparently the real colors miraculously manifest once the fly is wet, at which point it looks sort of wet grey, with a bit of wet pink and wet brown. I jest, apparently it becomes somewhat translucent, displaying the reddish copper beneath, and resembles a pink freshwater shrimp. Also it can't just be the regular "copper wire" you buy from your fly tying supply, that's not nearly red enough and it's far too thick. Frank Sawyer used wiring from aging electronic devices and legend has it he tied these flies without the benefit of a vise. Apparently the thin strands of copper wire twisted inside of speaker wire are an acceptable substitute. 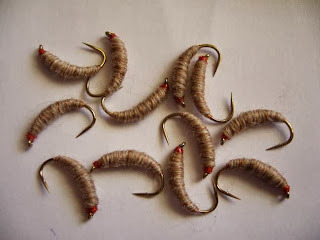 Armed with regular old grey wool and some speaker wire, I'm going to make a handful of these nymphs and fish them next year with not only a keen awareness of the history behind them, but also the fact that I'm using the wrong yarn. I will be looking forward to the "End" product. Simple pattern, very easy to tie, it is the darn wool like you say. I love visiting yarn shops. I have found some great finds over the years. My first few attempts were a bit substandard to put it nicely. ;) The first wire I tried was the far too thin, the next too thick, and the first yarn wasn't nearly buggy enough. I'll get it eventually!